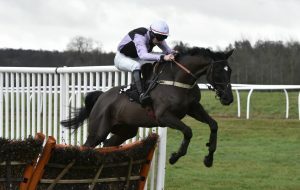 Ar Mest improved his chances of contesting the Betfair Hurdle for race specialist Gary Moore with a win at Newbury today that earned him a 5lb penalty for next month’s running of Britain’s richest handicap hurdle. His second win of the campaign in the EBM Handicap Hurdle lifts him from the bottom of the weights for the £155,000 contest to 9st 13lb, with the penalty applied, that could put him on the fringe of making the cut. 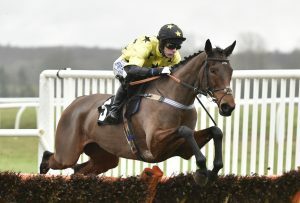 Moore, who trains near Horsham in Sussex, has won the Betfair Hurdle three times (Violet Dancer 2015, Wingman 2008 and Heathcote 2007) and Ar Mest is one of four horses entered in the February 9 race, part of Betfair Super Saturday. Sussex Ranger, Distingo and Not Never are his other entries. Colin Tizzard took the day’s two feature prizes, The Russian Doyen winning the Freixenet Novices’ Limited Handicap Chase and Mister Malarky the Mionetto Prosecco Handicap Chase, both ridden by Harry Cobden. Mister Malarky, who is related to 1995 Cheltenham Gold Cup second Dubacilla, won in the manner of a progressive chaser, pulling clear after the last fence to score by 13 lengths under 11st 10lb. 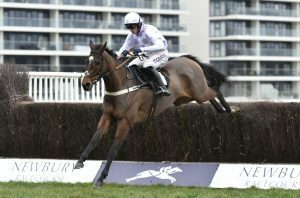 “He has developed into a proper stayer, so we will try and set him up in a race at Cheltenham,” said Tizzard. Young, up and coming conditional Rex Dingle provided trainer Jeremy Scott with yet another winner during the afternoon when winning on Our Dot’s Baby, in the British EBF Mares’ ‘National Hunt’ Novices’ Hurdle. This took talented Dingle’s tally of winners up to 7 from 13 rides in the last two weeks and providing the young jockey with his first winner at Newbury.